City officials may be able to block the export of coal and other fossil fuels from a new shipping terminal being built on the old Oakland Army Base -- if they find those exports seriously threaten the health and safety of residents. The City Council will hold a public hearing Monday to collect testimony on the potential health risks of transporting millions of tons of coal and petroleum byproducts through Oakland each year. Councilman Dan Kalb called for the hearing after news broke that four coal-producing counties in Utah wanted to invest $53 million to be able to ship "energy commodities" through the West Oakland terminal, which is expected to open in 2017. 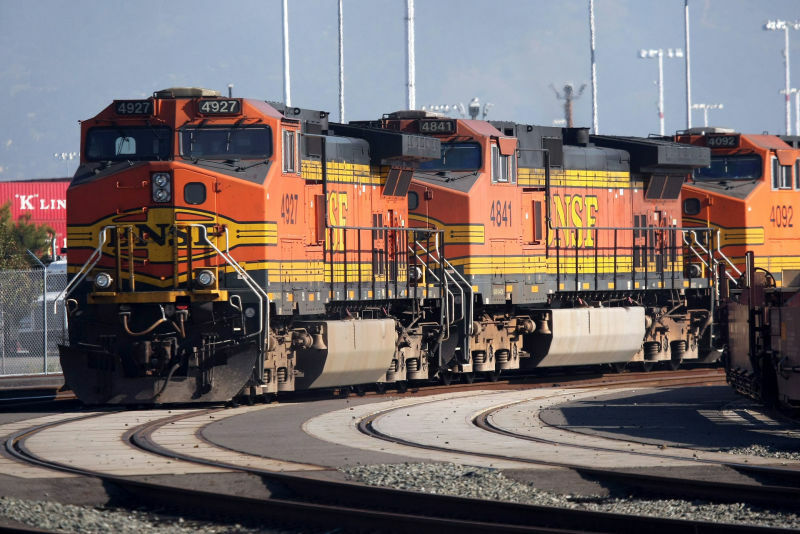 Kalb and other city leaders say coal exports would violate Oakland's 2014 resolution opposing the transportation of coal and petroleum coke, an oil refinery byproduct. But the council passed that resolution after city officials agreed to let California Capital and Investment Group develop the export terminal and approved an environmental review of the $260 million project. An Oakland city staff report issued earlier this month says the agreement with CCIG is subject only to regulations that existed at the time. Staff analysis of the issue found the only way for the City Council to bar the terminal's handling of coal and petcoke would be to demonstrate those exports put the health and safety of residents at risk. Jess Dervin-Ackerman of the Sierra Club says there's plenty of proof of that. “I have full confidence that the evidence presented at the hearing will allow the City Council to ban petcoke and coal from going through the development,” she said. The Oakland Bulk and Oversized Terminal, or OBOT, is expected to be completed in 2017 and handle up to 9 million tons of commodities a year, brought in by rail and loaded onto ships bound for other countries. Coal could make up nearly half those exports, according to the terminal’s builder and operator, Terminal Logistics Solutions. That’s 4.2 million tons of coal passing by rail through Oakland and other Bay Area cities every year. In a letter to city officials, Earthjustice attorney Irene Gutierrez wrote that coal was not considered in any of the environmental reviews of the project, and she urged Oakland officials to reject development of a coal terminal. "Exporting coal from Oakland will have many negative impacts on community health and the environment," Gutierrez argued, "and violates commitments made by state and local officials to reduce climate change forcing greenhouse gas emissions." In a response, David Smith, an attorney for the Oakland Bulk and Oversized Terminal, wrote that coal was one of many legal commodities city officials knew might be exported from the facility when they agreed to the development. Backing out of the deal now, or slowing its progress, Smith warned, would expose Oakland to significant legal damages and impede economic development. Monday's hearing at City Hall starts at 4 p.m.